Arron Wood has been a champion of the environment for most of his life. In this episode of Wilderkids, Arron shares the key turning point in his life, when, at 8 years old, the environmental warrior was born. 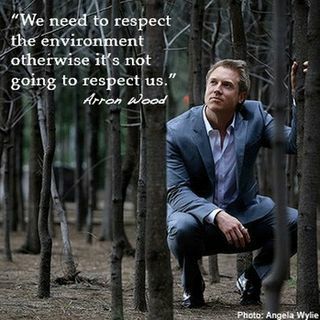 Arron Wood is an Australian sustainable business and education leader. He is also the Deputy Lord Mayor of the City of Melbourne and the chairman of the 2017 World Ecocity Summit Advisory Board. At age 21, Arron co-created the amazing environmental education programme, Kids Teaching ... See More Kids, that has inspired over 125,000 future environmental leaders!